The final BUCS event of the year, the road race hosted by York University, took place on the 29th April. OUCC sent a strong squad, with Angus Fisk, Michael Knight and James King in the men’s race, and last year’s champion Tamara Davenne and Mimi Harrison in the women’s. Riders faced multiple laps of 20km circuit, with 300m of climbing per lap, which promised tough and gritty racing. 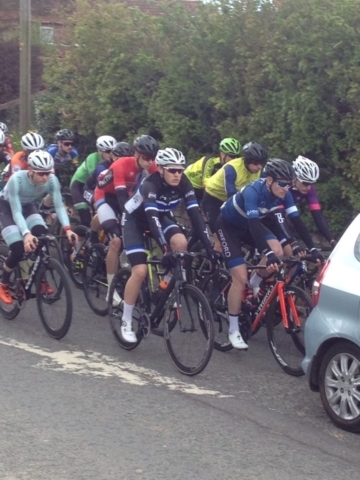 Despite losing Angus to illness, Michael and James worked well to secure 6th place for James in his first road race since stepping away from the elite ranks four years ago. After her win last year, Tamara was marked from the start, but secured 3rd place in a sprint from a reduced group. I was very much looking forward to BUCS RR after last year’s win! It was only my second road race of the season but I felt confident and happy to get out and race at a time when work is otherwise taking over my life. Mimi and I travelled north on Saturday afternoon to be there the day before the race. This year the organisers decided to change the finish to the crest of one of the small climbs. I knew the finish wouldn’t suit me perfectly, but that I should be able to do well. 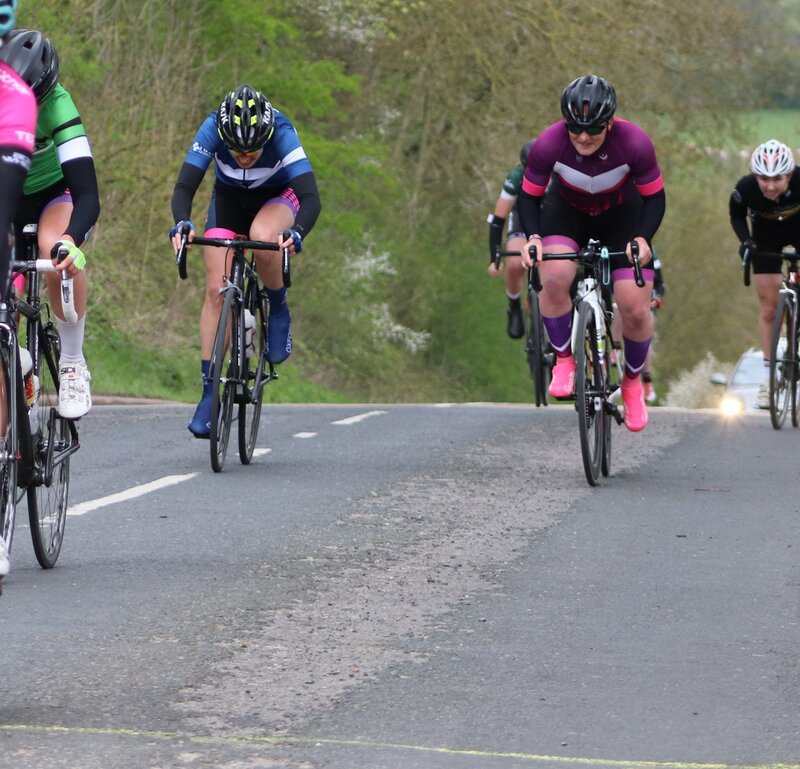 Anna Handerson (Birmingham Uni) was favourite, she is riding for On Form and has had several wins already this season. I was watching out for her, but she had a very negative attitude and didn’t take any turns in the front, clearly intent on just waiting for the sprint. The race was disappointing for me, only few riders willing to bring the pace up, and when I attacked or took some strong turns, I was chased down. I quickly realised that I won’t get away and that the people who were chasing were not the people I wanted to work hard to tired them up, eventually the bunch split and we were a group of 9 riders. 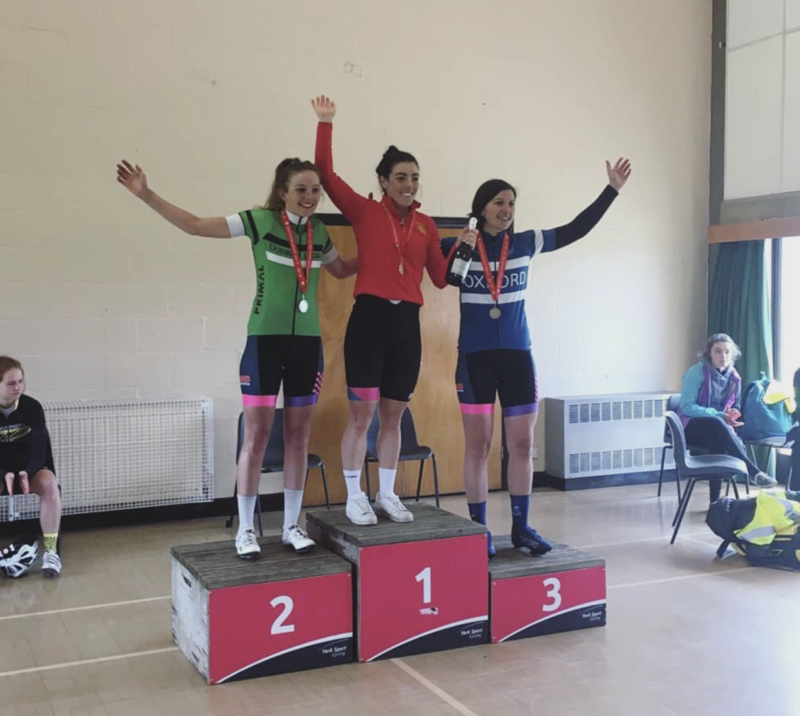 The Loughborough girl who finished just off the podium was doing amazing work in the front. I then adopted the strategy I hate the most: doing the minimum to save myself for a good finish. I was 4th on the line in the last km, Anna H and Tasha R came on the left just at the bottom of the hill, I took the right and push as hard as I could to take 3rd! I think it’s the best I could get with that situation, knowing that Anna and Tasha would be strong on that finish. I didn’t feel that tired after the race and I would have loved a more aggressive race (like last year, spending >1h in the break, that was HELL!) but it just didn’t happen. Overall I am happy with my bronze medal in the last race of my BUCS career! You can view Tamara’s ride on Strava here. It was nice to get some good sensations in the first road race I’ve competed in since racing as an Elite in 2014. I was very nervous in the build-up to the race as I felt the expectations of a good performance ere pretty high given my previous racing experience and to match the fantastic results the team has had over our 2018 BUCS campaign. I was feeling pretty good all day and felt like I was floating over the climbs. It was a real race of attrition over 124km on a very tough circuit! As expected the final selection was made fairly naturally given the terrain and the strongest 16-20 riders contested the final lap, despite several attacks to whittle down the group even more. The winner rolled away solo with around 8km to go and no-one took up the chase. With everyone looking at each other we gave him a bit too much time and had to contest the sprint for second place on the final climb. I led it out (a little too) early and was caught in the final few meters, finishing 6th. I’m looking forward to building on this year’s result in next year’s edition. You can see James’ ride on Strava here.